Hollywood Gin is a close relative of the card game Gin Rummy. Here are the complete rules for play. Deck: Uses a standard 52-card deck. However, note that an ace is always low card in Hollywood Gin; it cannot be used as a high card. Also, face cards are worth 10 points each; number cards are worth their face value; an ace is worth one point. Goal: Collect sets (three or four of a kind, or three or more consecutive cards of the same suit) to earn points. The game is played over several rounds. Shuffle the deck and deal 10 cards to each player. Players should look at and sort their cards. The player who did not knock does the same. If the knocker did not go gin (see "Going Gin" below), the opponent is also allowed to lay off any unmatched cards by adding to the knocker's sets (e.g. adding a fourth card to a group of three of a kind, or adding further consecutive cards of the same suit to a sequence). If the knocker has no unmatched cards, it's known as going gin and he scores 25 bonus points (some sources say the bonus should be 20 points). Additionally, his opponent cannot score any points, even if his opponent also had no unmatched cards. In effect, three games will be played simultaneously. When a player wins his first game, that score is credited to the first game. His second win is credited to the first and the second games; his third win and all subsequent wins are credited to all three games. The three games are scored separately and they end separately. When the third game ends, a new series may begin. Bob wins with 10 points. This is used as his first score in the first game. Alexandra wins with 18 points. This is used as her first score in the first game. Bob wins again, this time with 30 points. This is used twice: as his second score in the first game, and his first score in the second game. Bob wins again, this time with 4 points. This is used three times: as his third score in the first game, his second score in the second game, and his first score in the third game. 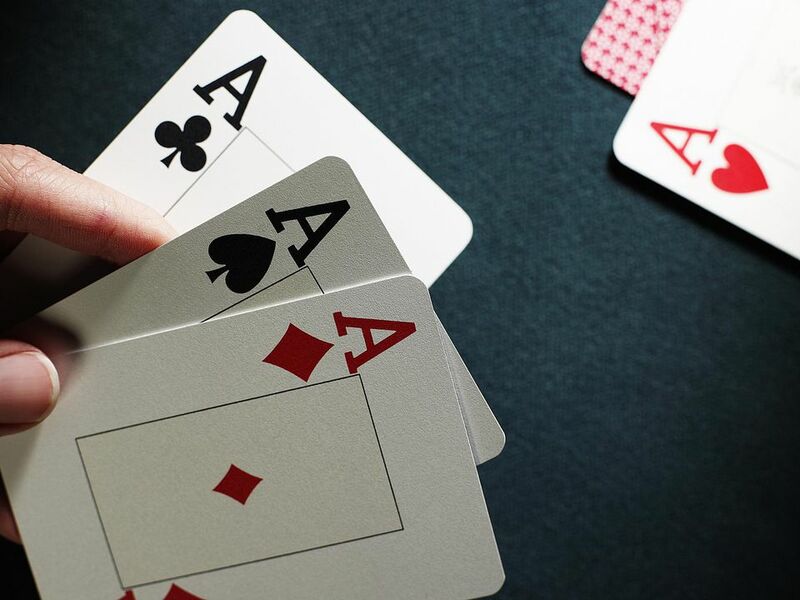 If only two cards remain in the draw pile after a player discards and neither player has knocked, the round ends in a draw. The same player deals again. Additional rounds are played until one player's cumulative score reaches 100 points or more in a game. That player is the winner of that game. The overall winner is the player who wins two of three games.